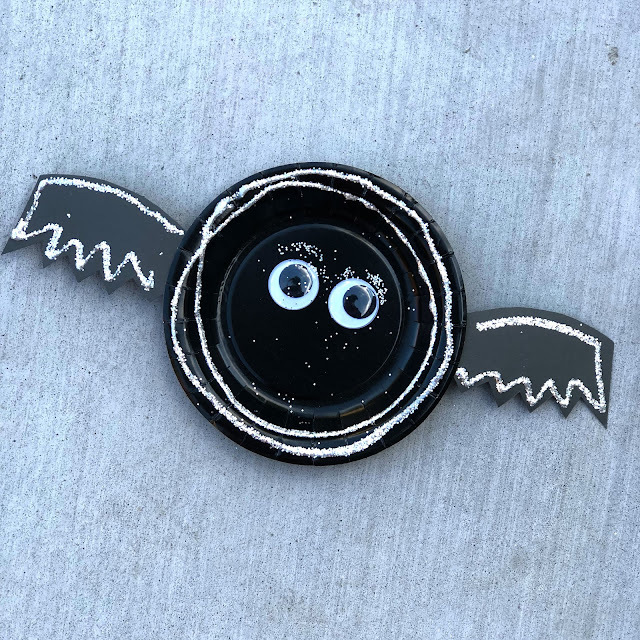 October is absolutely filled to the brim with sports and parties... but I always like to try and fit in a few crafts or activities too for Halloween! For our Virtual Book Club for Kids this week we are reading Stellaluna by Janell Cannon and sharing some bat themed activities. We thought these would be perfect for the week of Halloween! 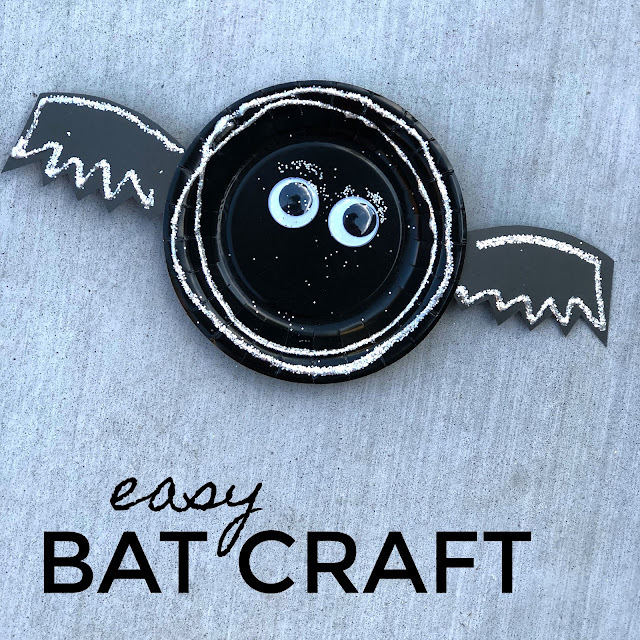 We only have time for super easy crafts that require very few materials, so this bat craft fits the bill. 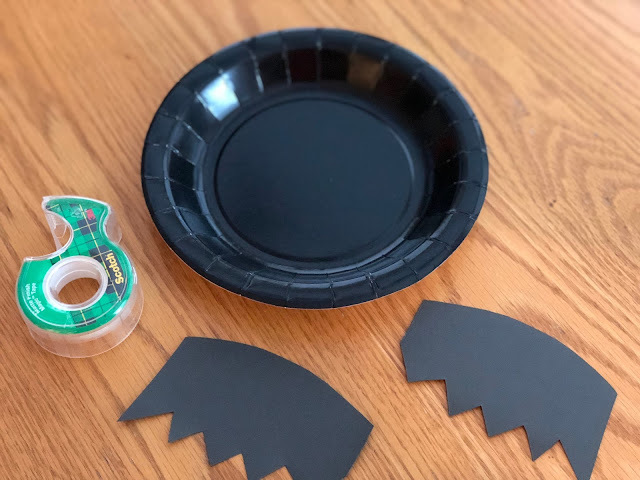 This activity can be a super simple fine motor craft for preschoolers. You just zig zag as you cut. 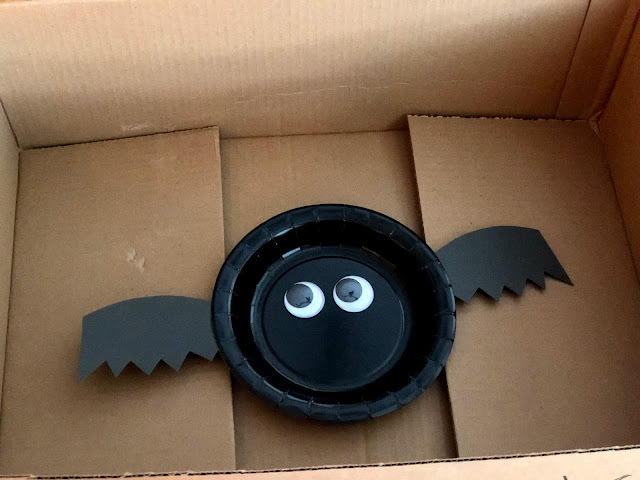 To make the bat wings, we cut one piece of paper folded in half so that the wings would look exactly the same when we opened up the paper. Once we cut out the wings, we secured them into place with tape. You can also use glue if you don't have super impatient kids that are ready for the wings to be stuck right away. 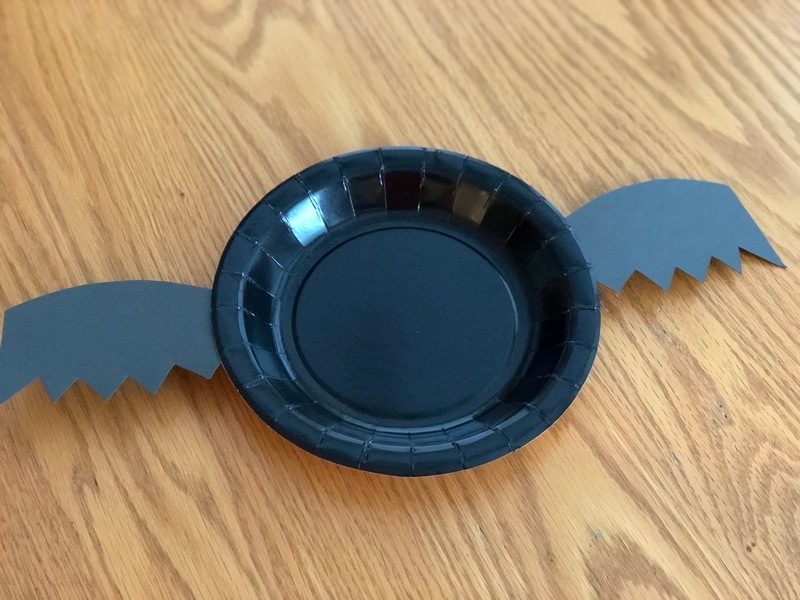 Once the wings are stuck on, we covered the paper plate and wings in glue. You can use the glue however you want to just jazz up the bat. We love to make things sparkly, which is why we are adding the glue. You could just add googly eyes and be done if you aren't a glitter fan! After we added glue, we added tons of glitter, and then we shook it off. 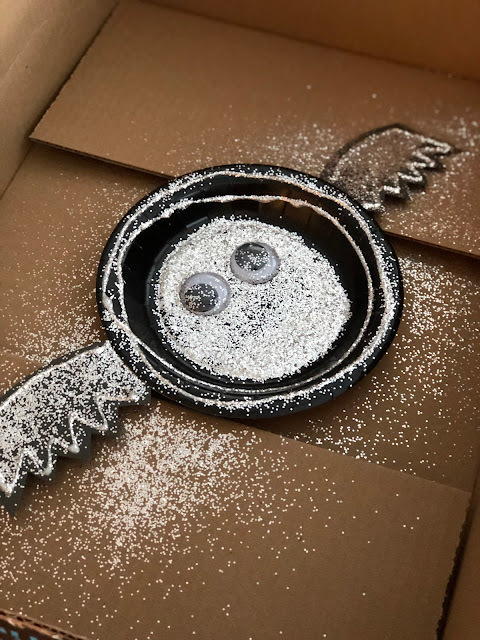 I used a bit box to do the glitter part because then the mess was contained... mostly... which kept my house a little tidier. 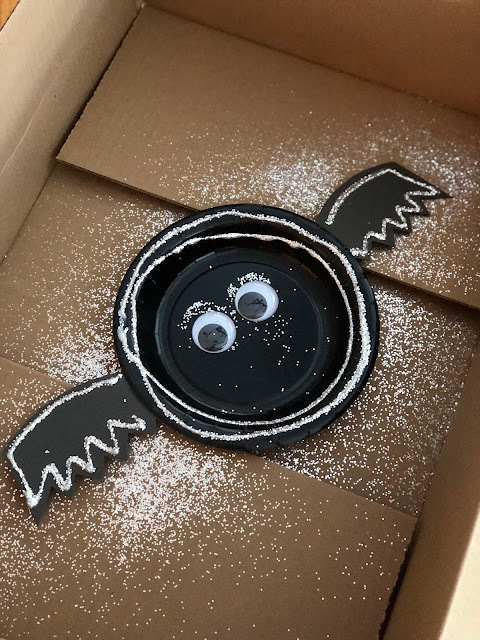 Next time I'll put my box away sooner though... since this week my kids found the box before I cleaned all the glitter out... LOL... and then managed to cover the floor in glitter. Good times. Once the glitter is all shaken off and your glue is dry, your bat is ready to fly around! 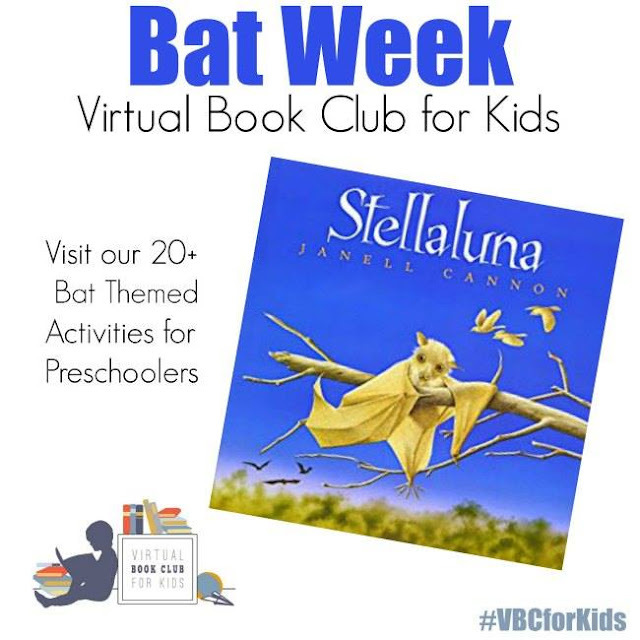 This bat is a fun accessory for a preschooler to hold while reading Stellaluna. NEED SOME MORE BAT THEMED ACTIVITIES?